Officers responded immediately to a report of a shooting at 7.43pm in Bexhill Road on Friday (16 March). Firearms officers were able to lead two other women from the house to safety and they were taken to hospital. Both were uninjured but suffering from shock. One of these women is pregnant. Two hours later a 35-year-old man was arrested and taken into custody on suspicion of murder and a firearm was seized. The women were known to the suspect. If you witnessed the incident or have any information please contact police online or ring 101 quoting Operation Winlot. A man has been charged with two counts of murder following the fatal shooting in St Leonards, on Friday evening (16 March). Following authorisation by the Crown Prosecution Service, Craig Savage, 35, of no fixed address, has been charged with the murders of Michelle Savage and Heather Whitbread at their home in Bexhill Road. 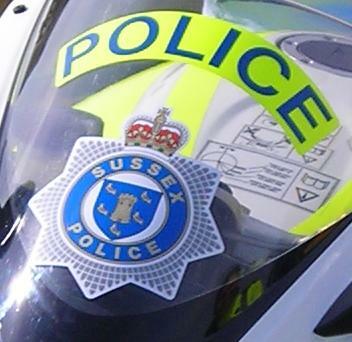 He is also charged with committing robbery in relation to the theft of a .22 calibre rifle firearm and ammunition from the 1066 Target Sports, Sedlescombe Road North, St Leonards, on Friday (16 March). Savage has been remanded in custody to appear at Brighton Magistrates’ Court via videolink on Tuesday (20 March). Next Next post: Rye Community Fire Station needs you!